I had the pleasure of meeting and photographing two Olympians who were the first in their field – Dominique Dawes and Arlene Limas. In honor of the two firsts that happened this past week in the London Olympics, Gabrielle Douglas in gymnastics and Kayla Harrison in Judo, here’s looking back at the accomplishments of Dominique and Arlene. As part of the Magnificent Seven at the 1996 Summer Olympics, Dominique was the first African-American woman to win an individual Olympic medal in artistic gymnastics, and the first black person of any nationality or gender to win an Olympic gold medal in gymnastics. Arlene made history when she became the first American to win a gold medal at the 24th Olympic Summer Games in Seoul, Korea in taekwondo. 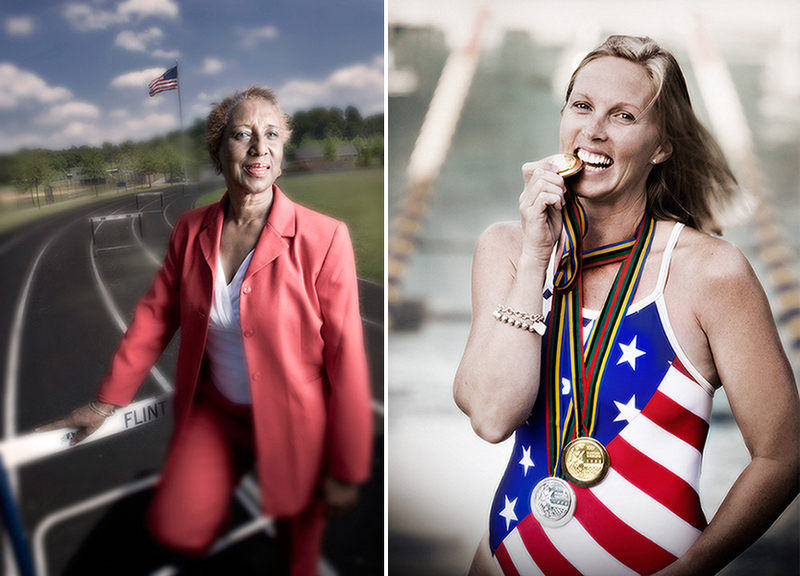 A few years ago I had the opportunity to photograph Olympians living in the Washington, DC area for The Washington Post Magazine. I had the honor of photographing Tom Dolan and Crissy Perham (Ahmann), two very highly decorated swimmers. 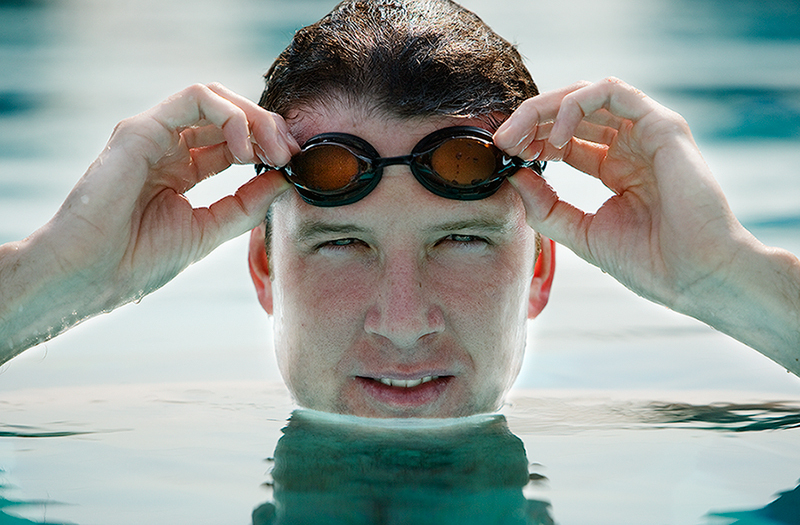 U.S. Olympic Swimmer Tom Dolan won a gold medal and silver medal at the 2000 Summer Olympics and a gold medal at the 1996 Summer Olympics. He held the world record in the 400 m individual medley longer than any other swimmer in history. Olympic swimmer Crissy Perham (Ahmann) won two gold medals and one silver in the Barcelona games in 1992. 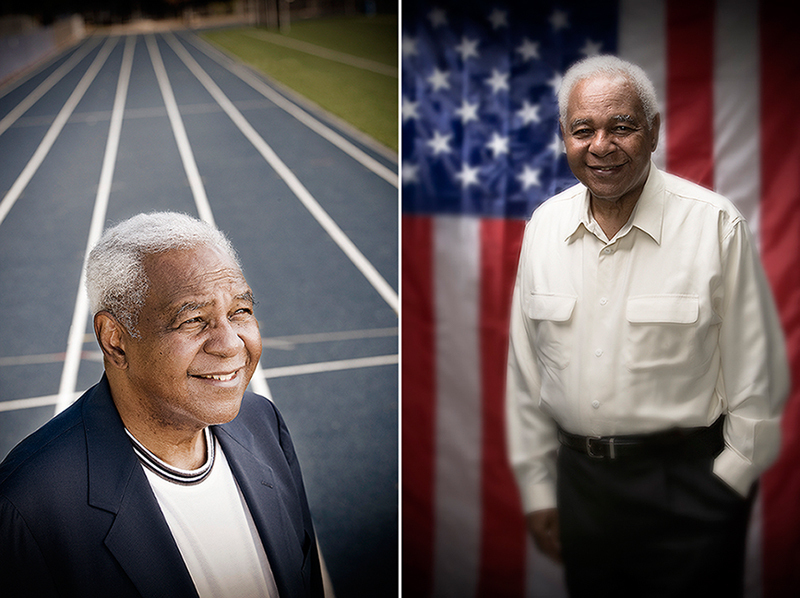 I recently had the opportunity to photograph several U.S. Olympic Athletes. It was great to meet some whose names I recognized (ie: Dorothy Hamill and Dominique Dawes) and others, such as Lacey O’Neal and Charles Jenkins, who were unfamiliar to me. Ms. O’Neal was in the 1972 Games in Munich and has an amazing story about a close friend who was on the Israeli Olympic team. Charles Jenkins won a gold medal in the 400m relay in the 1956 Games in Tokyo, and his son Chip won a gold in the same event 40 years later, marking the first time in U.S. history that a father and son won gold in the same event. While the time I spent with each athlete was memorable, nothing compared to the chance I had to skate with Dorothy Hamill!. Here are some of the images. You can see more on my web site under Olympians.